I love anything Broadway. So a couple of years ago I put together this playbill thing. I love how it turned out and although this isn't the best picture of it, it looks awesome. 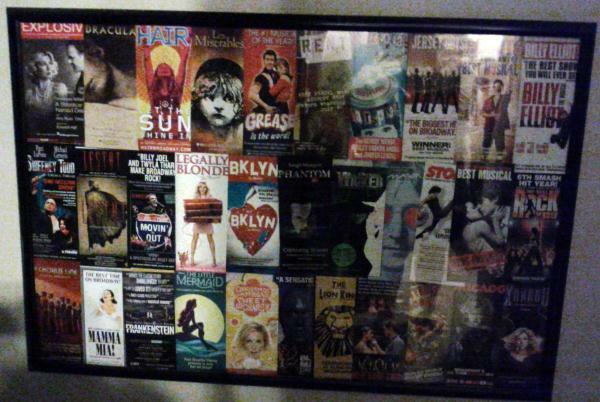 Just buy some of your favorite playbills off of eBay (or from me because I have tons left) and put it in a frame. It can be tricky to keep them all straight while you're working but the end result is an inexpensive Broadway piece.